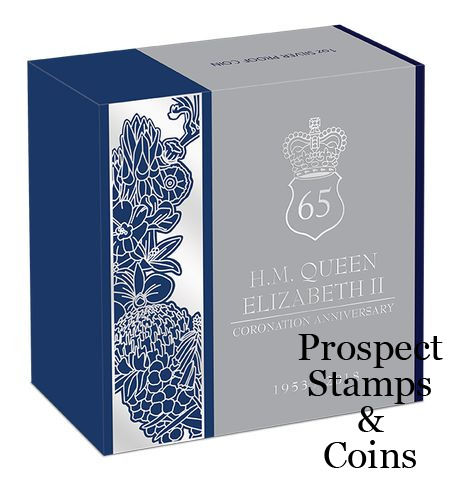 This special commemorative release celebrates the 65th anniversary of the coronation of Her Majesty Queen Elizabeth II. Her Majesty Queen Elizabeth II succeeded to the throne on 6 February 1952 after the death of her father, King George VI. As a result of the appropriate mourning period and the time needed to prepare for the elaborate ceremony, it was more than a year before her coronation took place, on 2 June 1953. In keeping with a 900-year tradition the coronation took place at Westminster Abbey. Abundant in religious and historic significance, the ceremony offered a sense of hope after years of post-war austerity. 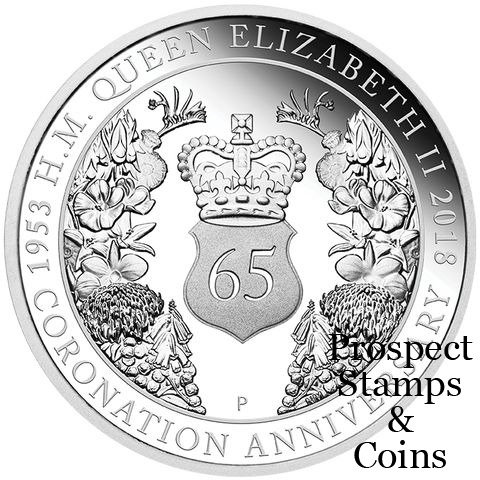 Her Majesty became the 39th sovereign and sixth queen to be crowned in the historic church. 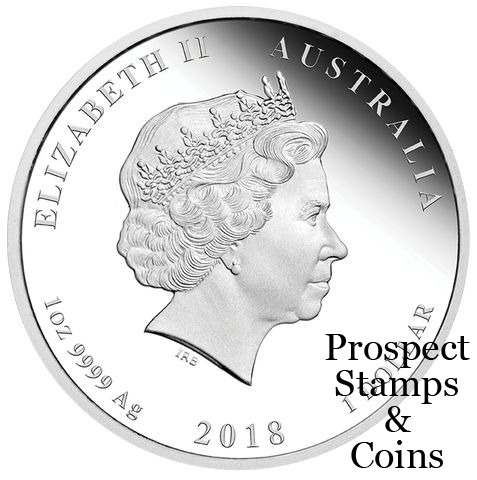 The reverse of the coin depicts St Edward’s Crown atop a stylised shield. These symbols of the British monarchy are surrounded by representations of the floral emblem of Australia, the golden wattle, as well as the official flower of each Australian state and territory. 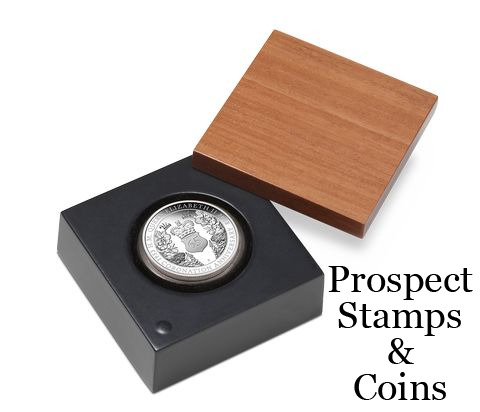 The coin is presented in a presentation box with a timber lid within an illustrated shipper and is accompanied by a numbered Certificate of Authenticity.